We knew it was going to be big. But this sounds EPIC! Warner Bros. and DC Comics have announced their plans for Comic Con 2015. And it includes a Q&A panel for Batman v Superman: Dawn of Justice. Things will kick off Saturday, June 11 at 10:30 am. Plenty of surprises are in store, including an all-new sneak peek that may feature our first look at Gal Gadot's Wonder Woman and Jesse Eisenberg's Lex Luthor in action. Both actors will be joined by panel headliners Henry Cavill and Ben Affleck in Hall H. Director Zack Snyder will be the resident ring leader, introducing co-stars such as Amy Adams, Jeremy Irons and Holly Hunter. Does this mean we'll get a first look at Lois Lane's return alongside our first sneak peek at Alfred the Butler? No further information is provided, with all the mysteries set to be unraveled on stage. 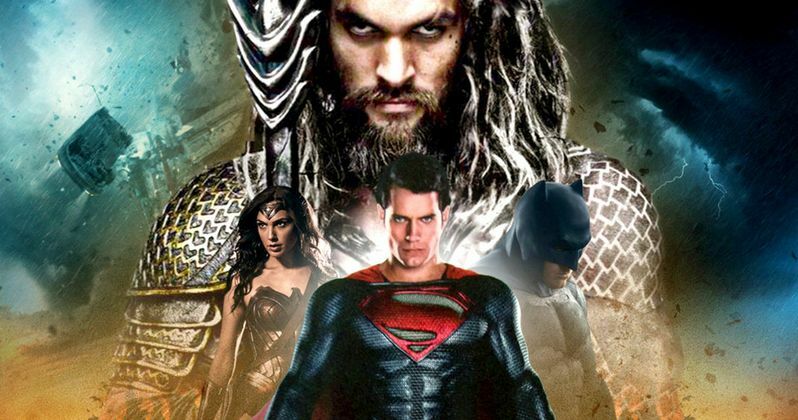 Batman v Superman: Dawn of Justice isn't the only big release Warner Bros. plans to show off. They will also be bringing Pan in for a special preview, along with cast members Hugh Jackman, Garrett Hedlund and Peter Pan himself, Levi Miller. Director Joe Wright will be in attendance, and will most likely be bringing new footage to show off. Then, Henry Cavill will return to the stage, this time to show off the latest footage from The Man from U.N.C.L.E.. Also joining him for a Q&A are Alicia Vikander, Armie Hammer and Elizabeth Debicki. They will be joined by their director Guy Ritchie. About this epic event, Sue Kroll, President, Worldwide Marketing and International Distribution, had this to say. "Comic-Con provides us a fantastic opportunity to interact with the fans and this year, as with every year, our aim is to surpass their expectations. We're also thrilled to give our filmmakers and talent a chance to experience the unique energy and enthusiasm of Comic-Con."